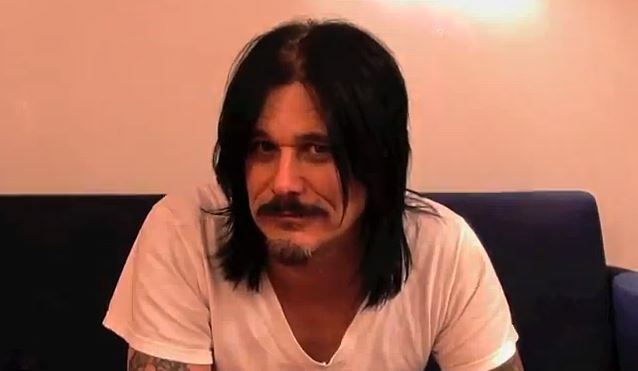 Former GUNS N' ROSES and ROCKSTAR SUPERNOVA guitarist Gilby Clarke was interviewed on Episode 41 of the "Let There Be Talk" podcast with with rock and roll comedian Dean Delray. You can now listen to the chat using the audio player below. Clarke, 51, is best known for a three-year tenure as the rhythm guitarist of GUNS N' ROSES. He joined the band in November 1991, replacing Izzy Stradlin, who quit the group in the middle of a 28-month world tour. Gilby has also played with ROCKSTAR SUPERNOVA, HEART, NANCY SINATRA, Kathy Valentine (of THE GO-GO'S) and the reformed MC5 on their 2005 European tour.